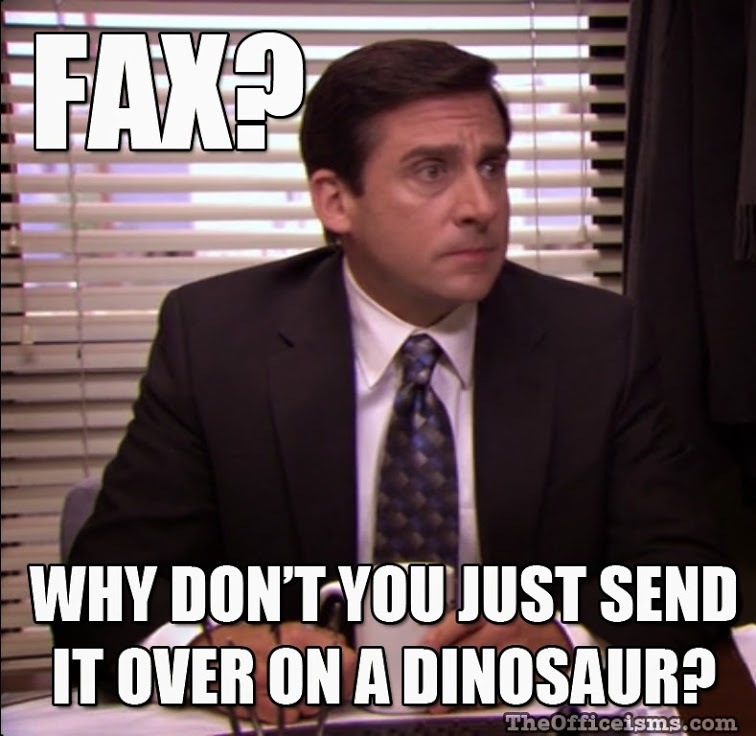 Have you sent anyone a fax lately? Me neither, but we’re all going to learn how. That’s because Enbridge’s permits for the Northern Gateway oil tanker project are due to expire at the end of the month and the company has been forced to beg for an extension with the National Energy Board. Why? Because not a single oil company is willing to sign a shipping contract with them. Something funny must be going on at the NEB though, because they’re actually accepting PUBLIC COMMENTS on Enbridge’s permit application. This gives us a great chance to show the board — and politicians — that B.C.’s rejection of this project hasn’t changed. But because we’re talking about the NEB, there’s a twist: you can only submit your letter by fax or snail mail. It’s becoming almost funny how out of touch our national pipeline regulator is. Well wake up, Enbridge. No means no. Writing your letter to the NEB could also go beyond influencing the pipeline regulator – these messages will no doubt be weighed by the real decision-makers in the PMO. “If I have the honour of becoming Prime Minister,” said Justin Trudeau in June 2014, “the Northern Gateway Pipeline will not happen.” Trudeau is now gauging the willingness of British Columbians to accept this tired proposal, testing whether the promise he made leading up to his appointment will be remembered before he and his cabinet make the final decision. So, there you have it. British Columbians are being forced to jump through hoops (again!) just to have the chance to comment via FAX MACHINE on a major decision being made about our home by people in Calgary and Ottawa, most of whom weren’t even elected. And while we don’t have much time to laugh at the ridiculousness of this situation, we DO have a workaround. That’s right: you can (surprisingly) send a fax via the magic of the internet. The deadline is June 27, 2016, so read on for a letter writing how-to, then click the link to compose your masterpiece. Remind the NEB that the federal government has committed to implement a north coast oil tanker ban, which would render Enbridge’s project impossible. In mandate letters issued to the Minister of Transportation, Marc Garneau and the Ministry of Fisheries, Oceans and the Canadian Coast Guard, Prime Minister Justin Trudeau requested they implement a legislated oil tanker ban on B.C.’s north coast. Several statements by the Prime Minister, his office, and Ministers Garneau, McKenna, and Tootoo back this up. Carrying out the Prime Minister’s orders means Northern Gateway can’t be built because the whole proposal hinges on sailing hundreds of foreign supertankers into the north coast port of Kitimat to load up with diluted bitumen. The fact the Government of Canada intends to formalize an oil tanker ban — and that it does so with the support of First Nations, municipalities, scientists, the Province of B.C. and its citizens — should be a major factor in the NEB rejecting Enbridge Northern Gateway’s permit extension request. The NEB says it will only consider “new information”, i.e. stuff that has happened since the last federal government approved the project in June 2013. For example, the landmark study by the National Academy of Sciences on the fate and behaviour of diluted bitumen once it spills. Spoiler alert: it sinks. Or the goal of limiting global warming to 1.5 degrees, adopted by the new Canadian government in Paris last fall. That kind of thing. It never hurts to remind them that the people who have to live with the consequences of the proposal (i.e. British Columbians) really, really don’t want it built. Send your letter via fax via the internet, via straight fax, or use Canada Post! Last person on Earth to own a fax machine? Send your own! Once you’ve joined us in inundating the NEB’s fax tray or post office box with letters, please share this blog and encourage your friends and neighbours to drop them a (fax) line too! With the majority of us opposed to increased oil tanker traffic on the B.C. coast, it’s important to grow our collective voice and send a powerful message to our political representatives. And if they want us to dust off ye olde fax machine to deliver that message, so be it. But personally, we prefer the internet route. Click here to write and send your letter. Writing my letter to fax RIGHT NOW! I certainly hope that thousands of others will do the same! Thank you for your leadership! We all need to speak out – it’s the only way to enable change! Thank you for giving the public an opportunity to comment on whether or not the NEB will extend a permit extension to Enbridge. First, I would like to say that I am OPPOSED to the NEB granting Enbridge’s extension request. I clearly heard that the Federal Government in the last election and further, said that they would ban tankers on our north coast. I am in agreement with this ban. My uderstanding is that the government intends to formalize that ban. For many environmental reasons I oppose this extension. Since the last Federal Election we have as a country set the goal of limiting global warming at Paris last fall. For my children’s children I can hardly imagine a world that is heated up beyond this. As a biologist I am only too well aware that bitumen is nigh on to impossible to clean up. I live on Saturna Island, one of the Gulf Islands in southern British Columbia. I own the general store and have a sizable interest in the pub on the waterfront. Our community of 350 people are building a firm reputation for marine education and research. The coast line and the people who come to visit are my and my children’s economic business. Only one oil spill would be devastating. I repeat, I do not want to extend Enbridge’s permit. I take hope in our new government’s commitment to limit global warming and supporting no tanker traffic on the north coast. Again, thank you for the opportunity to comment, I never thought I would be able to do this. I have been increasing my Island business, an oil spill would render my efforts dead in the water-above the bitumen on the sea floor. Done. Thanks for finding a way. It doesn’t surprise me at all that government finds a way to ask for an opinion then looks for away to prevent you from having it..
Really very interesting and useful blog about the information that how can we write letter to send through fax. your step wise step information is very easy to understand for everyone. thanks for sharing. I am totally against granting a permit extension to the Enbridge Northern Gateway Project. The fact that no oil company is willing to sign a shipping contract with Enbridge speaks volumes. Bitumen is an extremely toxic substance and should not be shipped anywhere near water to protect our environment and all living things in our marine environment. I have been asthmatic since birth and when I came into contact with bitumen my breathing became extremely impaired. British Columbians/Canadians need to be protected from these very toxic substances. A full ban of tankers carrying bitumen to offshore countries needs to be implemented. Fulfilling the needs of other Countries cannot happen at the expense of British Columbians. There should not be any sailings of foreign supertankers loaded with diluted bitumen. The forceful actions of foreign oil companies should also not be tolerated. When Canadians say no to something that can harm Canadians there should be no more said. No means No. Having things drag on by asking for permit extensions and repeatedly demanding more hoops for Canadians to jump through to protect ourselves, our families and our environment, shows serious disrespect. Prime Minister Justin Trudeau you have the honour of becoming our Prime Minister, now you must keep your word and ensure that the Northern Gateway Pipeline will not happen. In your mandate letters issued to the Ministers of Transportation, Fisheries, Oceans and the Canadian coast Guard you requested that they implement a legislated oil tanker ban on B.C.’s north coast. It would appear that Enbridge chose not to respect the Prime Minister of Canada’s call for a tanker ban on B.C.’s north coast because the whole proposal hinges on sailing hundreds of foreign supertanker into the north coast port of Kitimat to load up with diluted bitumen. There should be no permit extension granted to the Enbridge Northern Gateway Project.